Smash and football are two very different tastes, but to each his own! Can't wait to play Super Smash Bros. Ultimate? Ready for football season to begin? You'll want to head on out and participate in the Super Smash Bros. Ultimate Tailgate Tour, a completely free event hosted by Nintendo that's kicking off later this month! Starting September 22 and running through January 1, Nintendo will be bringing Ultimate to various football matches for fans to try out the game before they head into the stadium to see their favorite teams duking it out on the field. 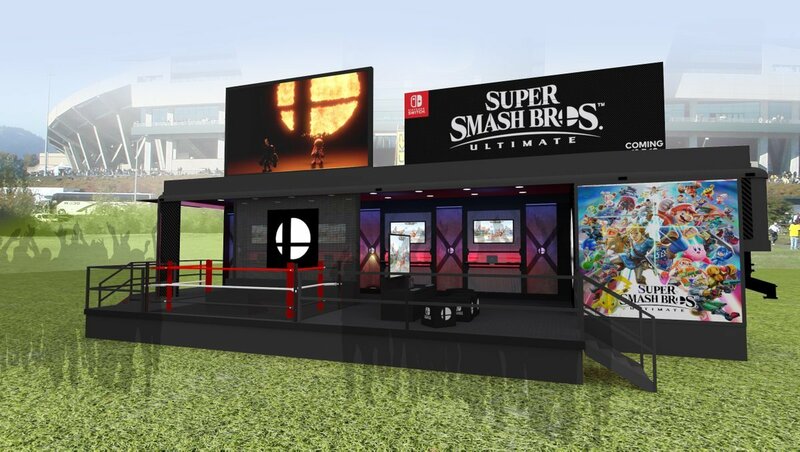 Outside the stadium will be a huge Super Smash Bros.-branded trailer with six stations and an LED screen that will allow players to battle for supremacy outside each football event. There are no age restrictions or admission fees, and the tour will be making stops all throughout the country from there. The tour kicks off with the Stanford @ Oregon game in Eugene, OR and makes stops at various locations after that, but it looks like the final location or any in between for December hasn't been announced on the official website just yet. If you're looking for some fun fall events that mix football and gaming, this event should definitely be at the top of your list.